I took a break from acrylic paints and wanted to share with you an idea I have for the new school year. As you know, I went a little (a lot) crazy at Staples. I can't help it if I continue to find amazing deals there...it is what it is. But on one of my little trips I found these binders for $1.00! They came in three colors; yellow, green, and white. I grabbed equal amounts of each color and ran home to think of the best way to use them in my classroom. Since I'm reading/loving the Small Group book by Jan Richardson, I thought it would be best to utilize these with my small groups. Each color could represent a different group (pre-emergent, emergent, and early guided reading group). In each binder I include some group specific pages. 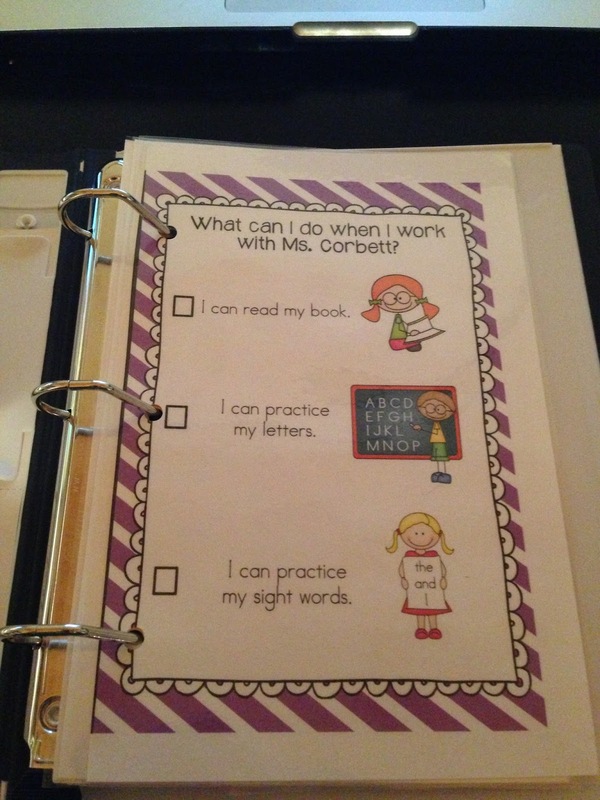 Those pages include; a small group checklist, alphabet chart, sentence dictation pages, and sight words. 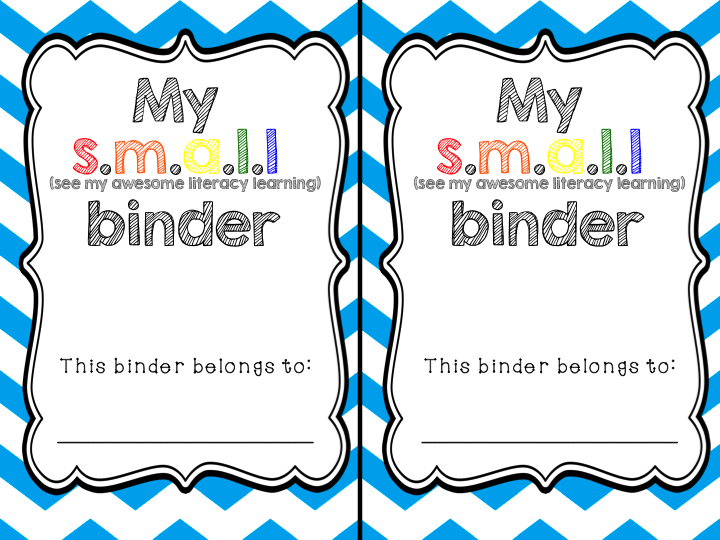 These binders are perfect because they have a pocket on the inside and back which will hold individual sight words and readers. Here's a look at how I've set up my binder. This is for the pre-emergent group. Here's the cover of the binder. 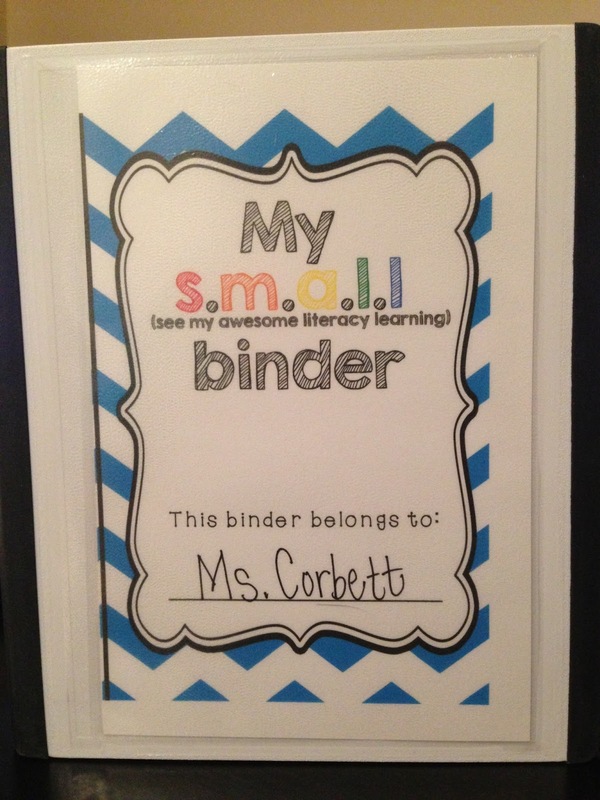 I decided to call them, "Small" binders. Small stands for See My Awesome Literacy Learning. It's a bit of a stretch but I like it! 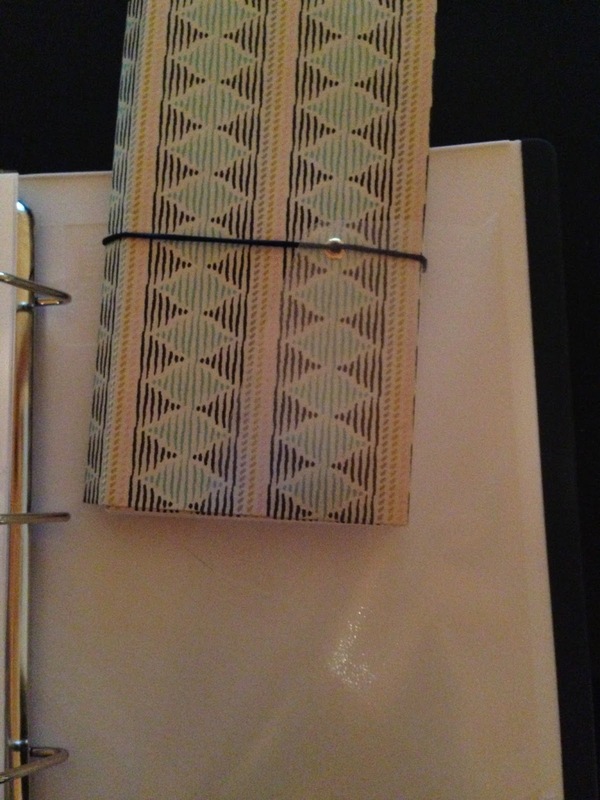 I laminate the cover pages even though they slip nicely into the pocket on the cover. Laminating means I can use them over and over and over...forever! This is the inside front pocket. 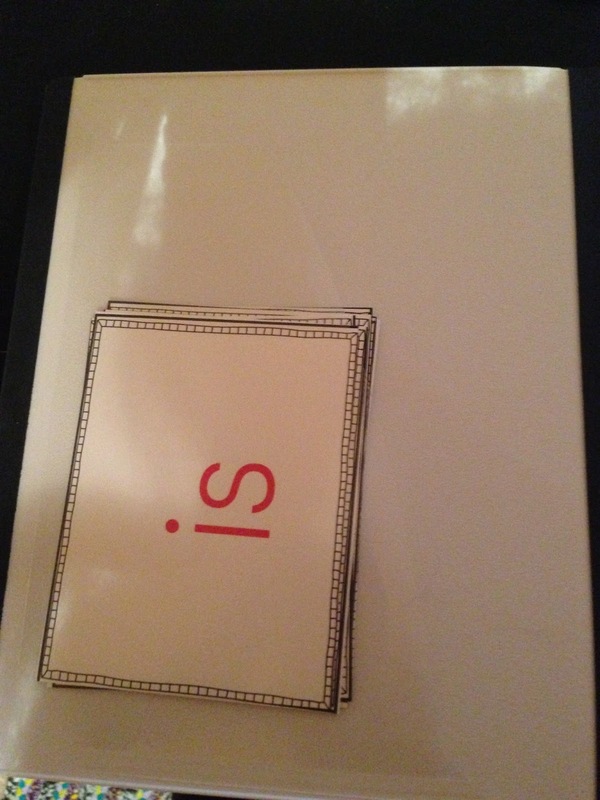 I cut out a few sight word cards and placed them in here for show. I might use this pocket for a little decoding/comprehension bookmark reminder for my emergent group. This is the first page of the binder. I created a little checklist for my students. When they come and work with me they should choose one of the options to work on while I set up or get things started with other students. 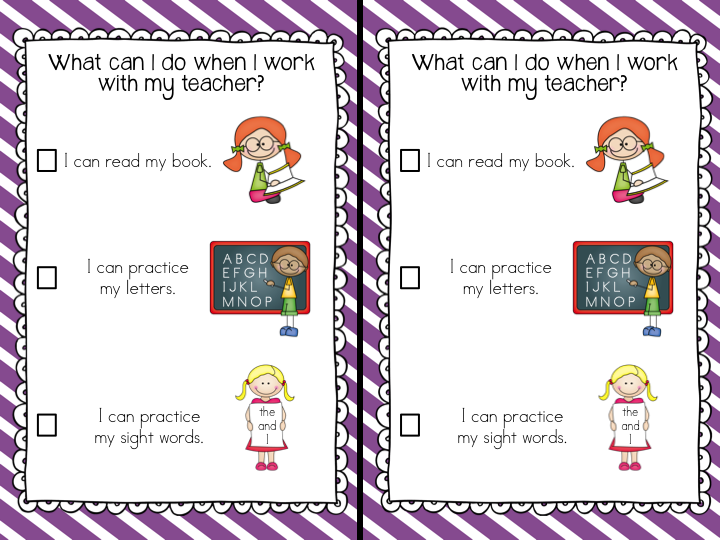 I have a different checklist for my emergent/early guided reading groups. It's laminated also, so kids can use a dry erase marker and erase when our time is up! The next page is an alphabet chart. Mine is specific to Fundations in order to keep some consistency in the classroom. 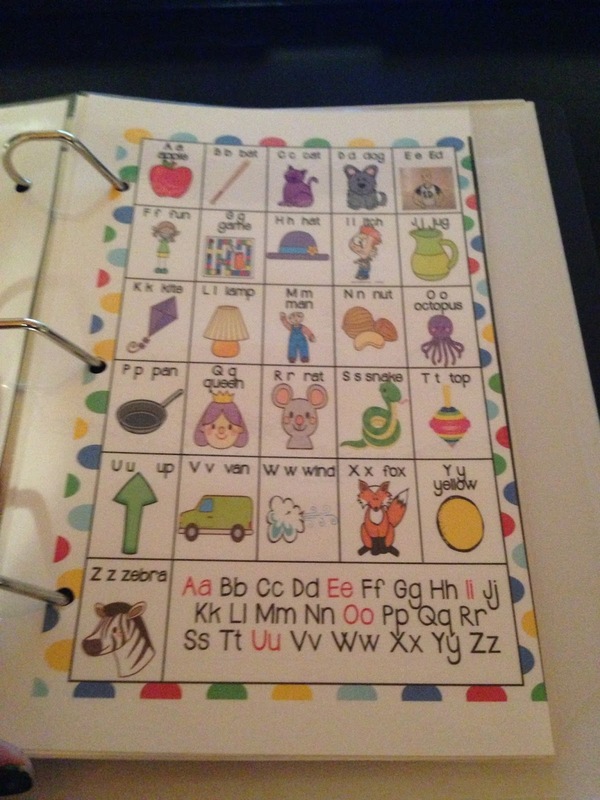 This page is just a reference for kids as they are doing word work or practice sight words. It's laminated too because..you know, forever. 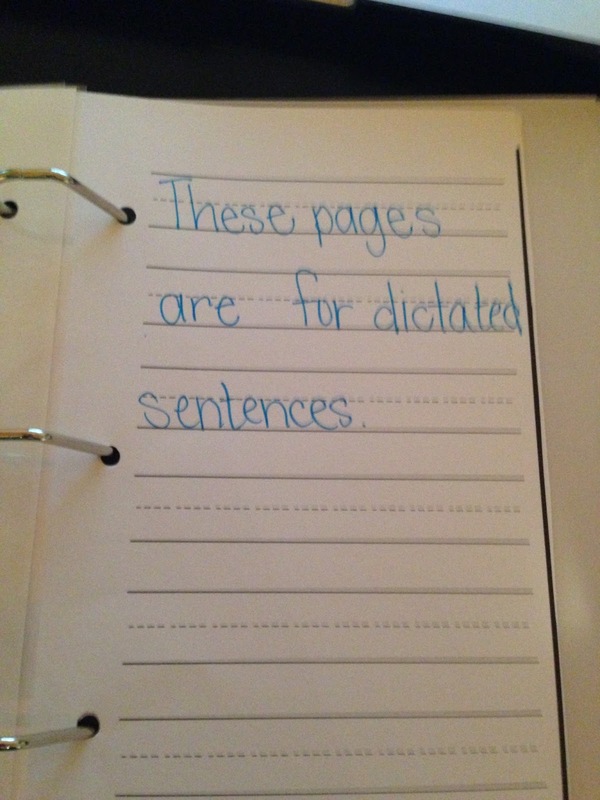 These are the sentence dictation pages. 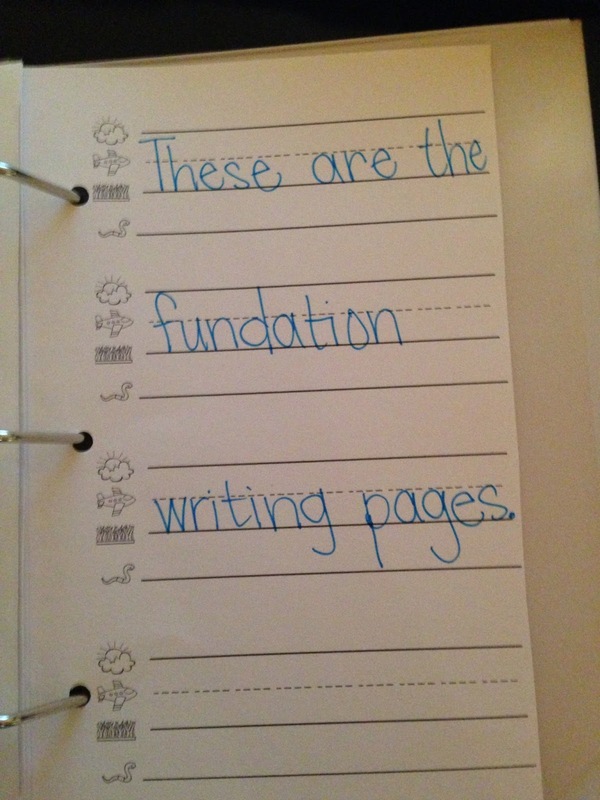 I have regular handwriting pages and Fundations specific pages. Jan Richardson encourages sentence dictation during each small group session. 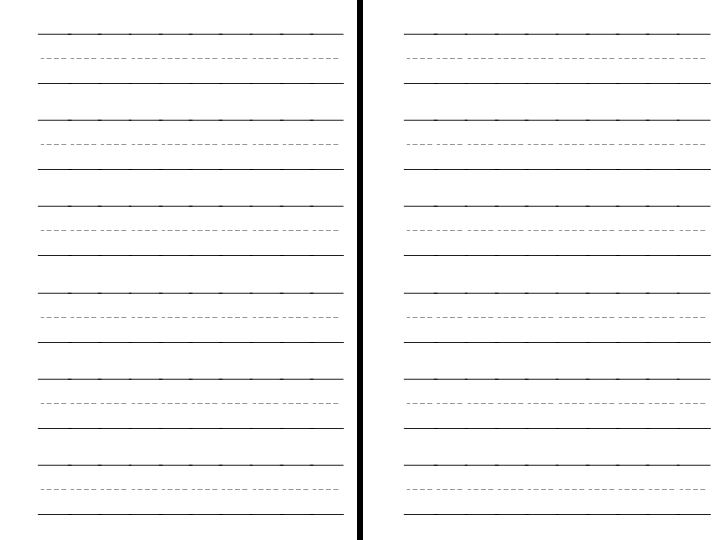 I'm working on making a list of sentences for dictation that will match the sentences I featured in my Monthly Mixed-Up sentences packet. This is the back inside pocket. It will be where the kiddos store their individual readers. I just shoved my coupon book in there so you could see it with a little something inside! I think I'll need to make labels for the two inside pockets so students remember where to put what. So that's that! I'm really excited to use these with my small groups. 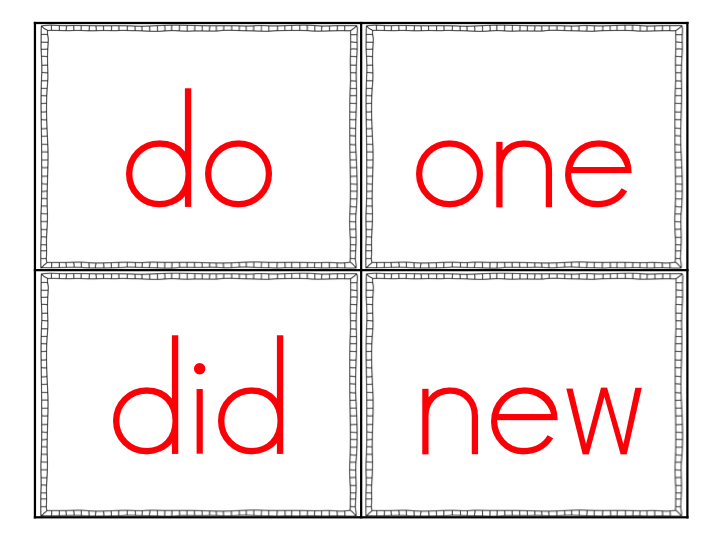 I might include a checklist so students can cross off words/letters they know. These are going to be customizable. So if teachers want them in a particular color or theme, or if they have certain sight words they need included, I can do it! I've never offered to customize anything before. I hope it goes well. If you think you could use this in your classroom and want your own customized copy, leave your name and address below and I'll choose a winner at random! I'll draw a winner at midnight (EST) tonight! This is awesome! 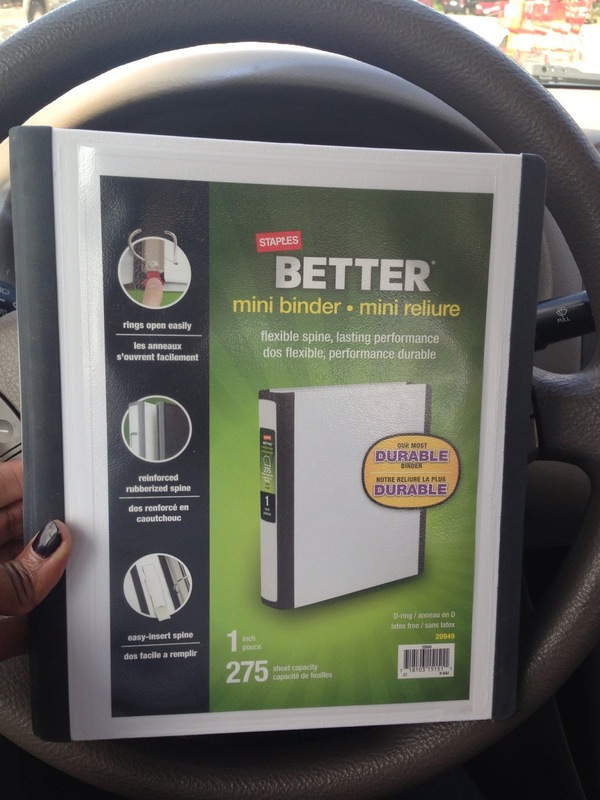 I was debating on buying these binders and now I feel like I MUST go get them!!!!!! I would also love a customized copy! Great idea on a use for these! I love what you have done Vera! I even love the name SMALL folders. You have created a very user friendly organised system that looks great. Love it! It is too bad I didn't read this post until today (Wed. Aug. 7th) Maybe you haven't drawn for the winner yet?? (fingers crossed!) hehe! So adorable! I love the idea and the title - totally not a stretch!! Hi! I just stumbled across this and I would love a copy but I cannot figure out where to click. Is it posted on TPT or TN? 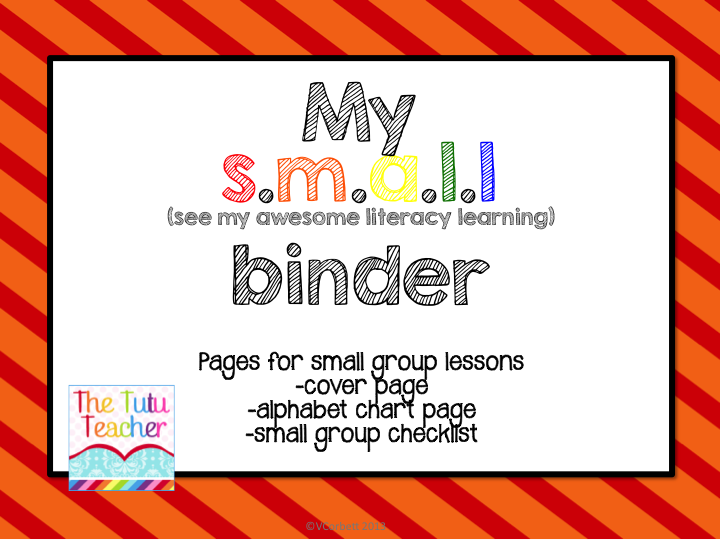 You can find these SMALL binder pages here: http://www.teacherspayteachers.com/Product/My-SMALL-Binder-pages-Pages-for-your-small-groups-829348. Hope they work for you and your students! !